When you need appliance repair in Edisto Island, call the appliance repair specialist at Aviv Service Today. Whether your dryer won’t heat or your refrigerator won’t cool, you deserve the best appliance repair Edisto Island has to offer! At Aviv Service Today, we pride ourselves on fast, friendly service at a price you can afford. Our Edisto Island appliance repair technicians are experts on appliance failures from leaky dishwashers to noisy refrigerators to clogged ice makers. Call us to schedule your service today. Quality customer service is our top priority here at Aviv Service Today. All Edisto Island appliance repairs are backed by a 90 day warranty on labor, a 1 year on compressors, and 5 years on all other parts. We fully stock our branded service vehicles with the most commonly failed parts to ensure that we can fix your appliance repair issue in as little as one visit. In the event that your part is unavailable, we have a very fast turnaround for specialty parts which typically arrive within 24 to 48 hours. With our dedication to customer service, we aren’t happy until you are happy. For more information about Aviv Service Today’s warranty, click here. 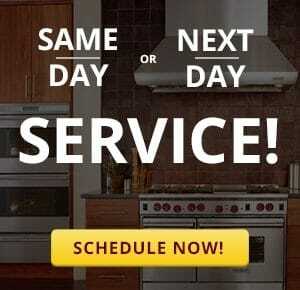 Aviv Service Today’s Edisto Island technicians pride themselves on an extensive knowledge of appliance types including washing machines, dryers, dishwashers, freezers, refrigerators, ovens, stoves, cooktops, ice machines, and wine coolers. Each technician is trained and experienced with all the common commercial brands such as GE, Kenmore, Whirlpool, Maytag, Samsung, and LG Electronics as well as leading high-end brands like Dacor, Asko, U-Line, Sub Zero, Fisher and Paykel, and Viking. For these brands and more, call or use our online service form to schedule service.